Manufacturing companies want the data to be well organized and easy to find. However, the reality is just opposite. Data is messy. Files are located in multiple computers and engineers send them to contractor and suppliers using emails. The problem is getting even worst in a distributed environment. Departments, contractors, suppliers, multiple locations and multiple systems. So, data lives in silos – databases, network drives, databases, multiple enterprise systems. The days when manufacturing company was located in a single place and all design and engineering information was centralized in one room are over. In one of my old post back in 2014 I shared my thoughts about future transition towards linking data in engineering and manufacturing companies. Check out my blog – PLM: from sync to link. Public cloud and data services can play an interesting role in the future transformation of manufacturing companies. One of the aspect of transformation is to support a completely new paradigm of data sharing and connectivity. It will help to get access to information across the silos and it leads to one of the key problem of data sharing and identity. I was reading Develop3D Review: Onshape – Q3 2016. One of the most interesting aspects of Onshape data manage is related to way Onsahpe is sharing and intertwining design data. You don’t need to send files and create Pack-and-go archives. Everything you need to do is to share design with a person using his email. You can link documents with different elements of the design created by different people and companies. That’s it. It opens new design and engineering workflows that we never seen before. Here is a passage from Develop3D article that speaks about it. These tools also give rise to an interesting workflow when working across projects, across suppliers, even. If your supplier also uses Onshape, it’s possible to integrate their products into your own (using an externally referenced and shared file). The version that you’ve inserted references that specific version. If the supplier updates that product and releases a new version, you can choose whether to stick with the older model or to adopt the newer version (and have any references update where needed). Then consider this in the opposite direction. That’s an interesting environment in which to conduct complex (in terms of supplier/customer data sharing) design. The following video can give you an idea how it works. 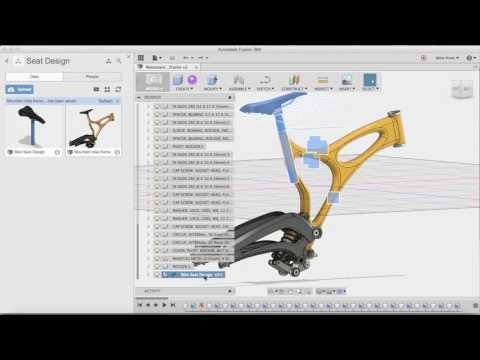 Another example of how public cloud can be leveraged is coming from Autodesk Fusion 360. Navigate to the following blog – Distributed design in Fusion360. The following passage is explaining how one element of the design can be referenced in other designs. 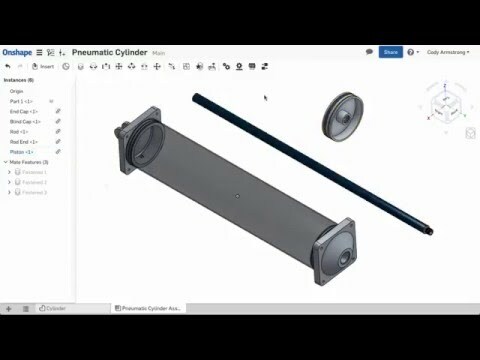 The Fusion 360 team has been working to evolve the manner in which teams work together, and changes are on the near horizon.In our May update, we will introduce Design Referencing; the ability to insert one Fusion 360 design into another, and maintain an associative link between the two. Inserting a design from the same Project will create a link to that design. If the linked design is modified, the referencing design can easily be updated to reflect the changes. This supports bottom-up reuse of existing components, and also allows multiple contributors to create and modify referenced components within a single assembly.Additionally, members of a team often need to distribute design efforts among multiple contributors. They need to work on the design concurrently, and see real-time updates as the design progresses. They also need to control those updates to ensure that an oversight by one contributor doesn’t compromise the entire design. Now, these two examples are presenting a huge potential public cloud can bring to design, engineering and manufacturing. You don’t need to send files via email or upload them over the FTP or another cloud storage. However, here is the question, which is still not answered in my view – how engineers can design one system using both Fusion360 and Onshape? What do you think about that? How is that important? In this design environment, can we re-use any of the existing 3D models made in Solidworks for e.g.? For companies using Legacy data to build new products or improve the product or supply a variation of the same product to another customer, Legacy is an asset and critical factor to meet ‘Time to market’. Any thoughts on how to overcome this bottleneck?